When Iran freed five detained U.S. citizens Saturday, one family is still heartbroken. 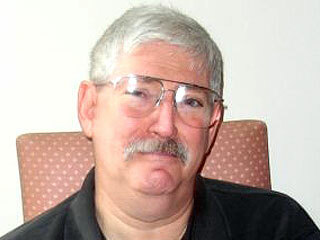 Still missing is Robert Levinson, a retired FBI agent who disappeared off Iran’s Kish Island in March 2007. His family said Levinson was discussed with Iran as part of a deal that led to the release of five Americans in exchange for the clemency of seven Iranians in the U.S., but Iranian officials insisted they don’t know where the 67-year-old is, ABC News reports. Today, the United States celebrates the safe return of four American citizens detained by the government of Iran to their families and loved ones. Unfortunately, the family of retired FBI agent Robert “Bob” Levinson still waits. Bob went missing from Kish Island, Iran in March 2007, and for almost nine years now, Bob’s wife, children, and grandchildren have waited for the release of their loved one. Bob forever remains part of the FBI family, and we remain committed to bringing him home safely to the family who misses him so much. The FBI expects our Iranian counterparts to fulfill their commitment to locate Bob and help bring him home safely. Posted: 1/18/16 at 10:16 AM under News Story.